Join us as we applaud historic, antique, classic and contemporary wooden boats at the largest gathering of watercraft on the beautiful Mississippi Gulf Coast on the water’s edge at the Schooner Pier Complex, Hwy 90 on May 19-20, 2012. The Billy Creel Memorial Gulf Coast Wooden Boat Show opens Saturday at 10 a.m.-6 p.m. and Sunday 10 a.m.-5 p.m. Admission is $5.00 adults, $3.00 students (13-18), children under 12 free. Sails aboard the 68’ two-masted Biloxi Schooner, “Glenn L. Swetman” run on Saturday and Sunday at Noon, 2 p.m. and 4 p.m. at a special rate of $10.00 per person, children under 5 will be free. 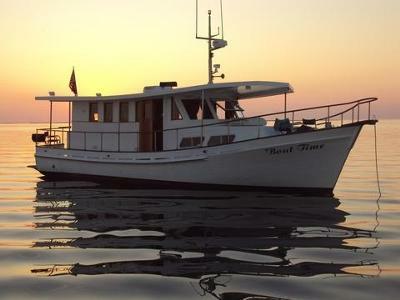 We have approximately 45 boats registered ranging in size from 6’ to 76’ and in age from a 1912 14’one-lunger to a 1939 Covacevich built 56’Biloxi Lugger/Chandeleur boat thru the present day construction. Walk aboard and view the beautiful wood craftsmanship in these vessels. The “Pan American Clipper” a 1937 65’ Biloxi Lugger/Excursion boat built by John Toche, Sr. will be on display and available for tour. A marine flea market will be one of many booths at the show this year. It is marine related items donated to the museum and anyone that has items they would like to donate to this booth can bring them to the museum office before May 15th. We have over 20 exhibitors participating including beautiful model boats, t-shirts, art work, pottery, stained glass boat models, crafts and much more. For the children this year we feature painting on oyster shells by Shari, pinch pots by the Ohr/O’Keefe Museum of Art, and other activities. Also, the Museum’s new Biloxi Seafood Cookbook by Julian Brunt is hot off the press and will be available for purchase along with Wooden Boat Show t-shirts. We will offer fresh fried fish and shrimp plates, hamburgers, hot dogs, shrimp jambalaya, refreshment booths and much more. Music will be live on Saturday and Sunday starting at noon. An adult’s cast net throwing contest will be Saturday at 1:00 p.m. and the children’s cast net throwing contest at 2:00 p.m. with prizes awarded. You need to contact the organisers at the Museum address below. and down the coast for the last five years.